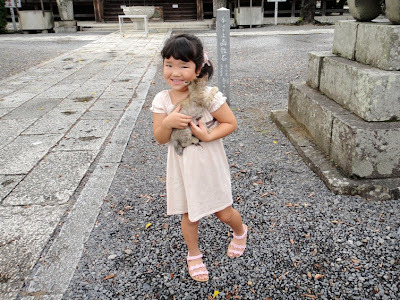 As I wrote in the previous post, hubby and I visited Ichinomiya City during Obon holidays in Mid August. On 13th August, hubby went to play golf with his father. I visited a nearby temple named Mandara. Hubby’s sister and her two daughters accompanied me to the temple. Mandara Temple is located in Maehibocho-Teramachi Town of Konan City in Aichi prefecture. 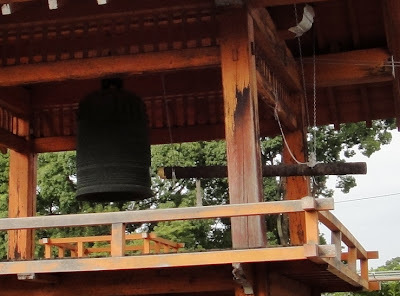 The temple belongs to Seizan branch of Jodo sect Buddhism. The temple is also known as ‘Mandara Temple in Hibo’. 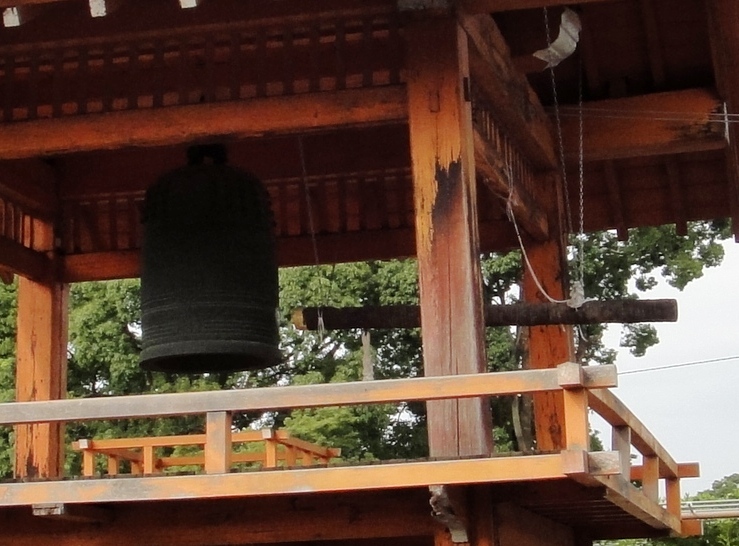 It is the most revered sacred place in Konan City. The temple was founded by Emperor Godaigo. It took five years to build the temple from 1324 to 1329. That was the time when Emperor Godaigo overthrew Kamakura Shogunate government and took back political power. The temple was established to pray for good luck and prosperity of the nation and for the repose of martyrs' soul. It was specified as an imperial temple by Emperor Gonara. 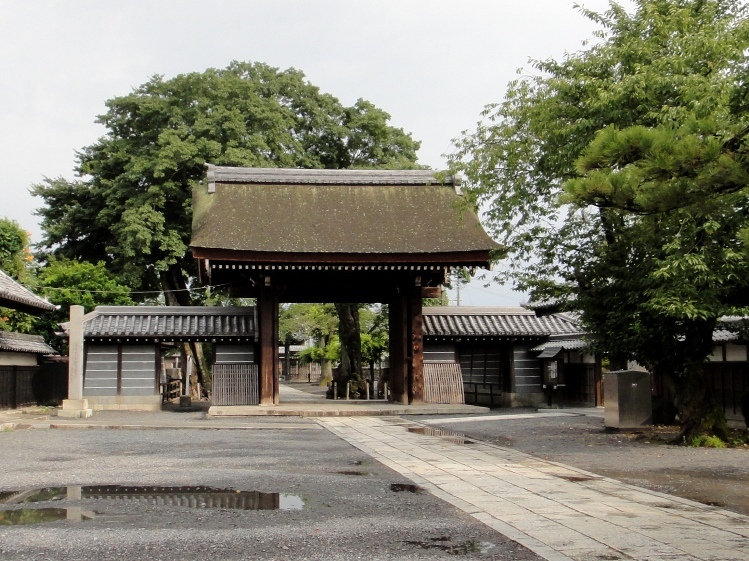 The ruler of Awa feudal clan Hachisuka Iemasa reconstructed the temple is 1632. He carried out this reconstruction to thank for the kindness and education he received during his childhood years spent at the seminary of this temple. The temple was patronized by Owari-Tokugawa family of Tokugawa clan. Presently the temple complex is spread over an area of about 1100 acres, and consists of the main temple, a storage, a large study, a small study, Mandara Hall, Jizou hall, an observatory, a treasury, the central gate, the south gate, and several other structures. 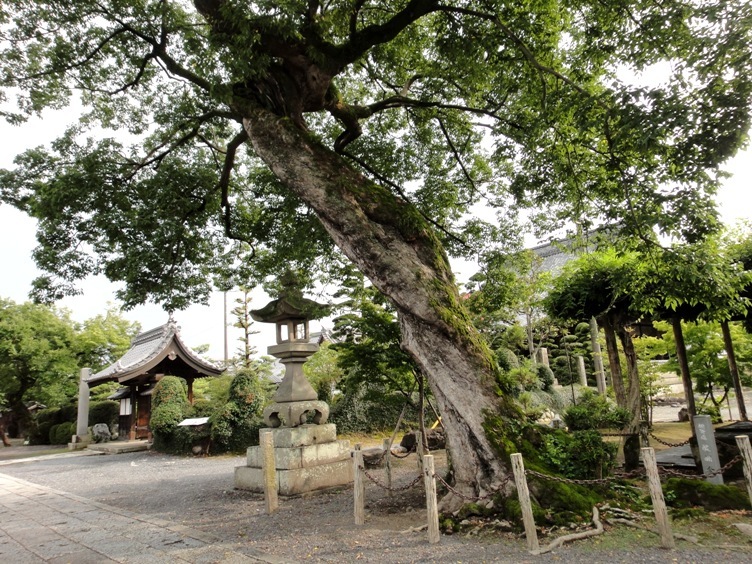 In the area surrounding this temple, there are eight branch temples. The principal statue of worship at this temple is Amida Sanzon which is a triad consisting of an image of Amida Nyorai at the center flanked by images of Kannon Bosatsu on the left and Seishi Bosatsu on the right. The temple has been designated as a national important cultural property in 1957. On 13th August at about 3 pm, my sister-in-law picked me up in her car at the hotel where hubby and I stayed in Ichinomiya City. It took us about 25 minutes to reach Mandara Temple. After parking the car at a nearby parking area, my sister-in-law, her daughters, and I walked up to the main gate of the temple. 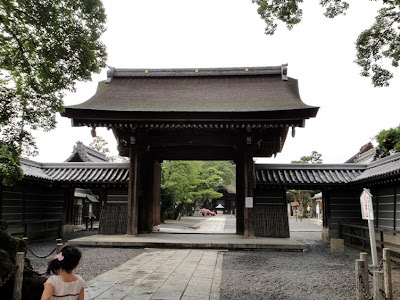 This main gate named Sanmon is a four legged wooden structure and has a thatched cypress bark roof. This gate actually consists of three entrances, a bigger entrance gate in the center flanked by two smaller entrances on either side of the bigger entrance. We walked past the gate and entered inside the temple premises. 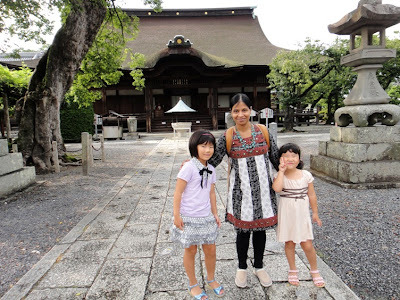 Inside the temple premises, opposite Sanmon Gate, we saw the main hall of the temple. This main hall named Seido was reconstructed by Hachisuka Iemasa in 1632. The hall is a huge wooden structure with the roof made of thatched cypress bark. 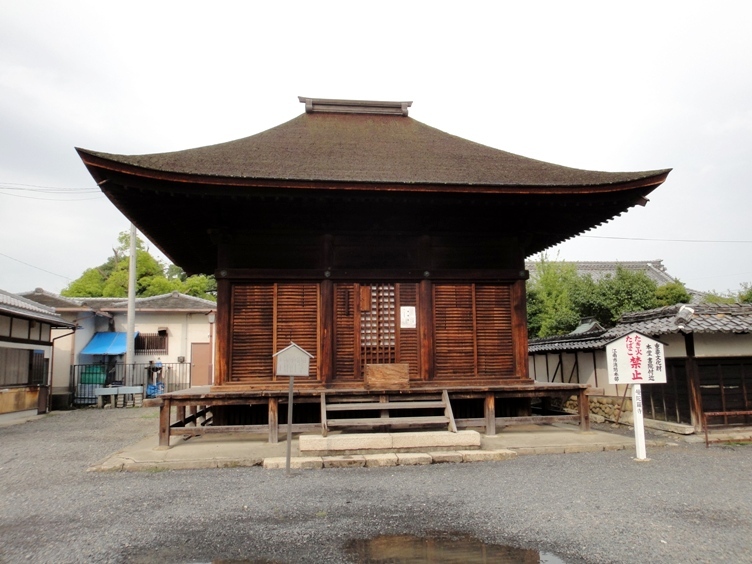 The roof has Irimoya-zukuri architectural style, which is a hip-and-gable construction style. 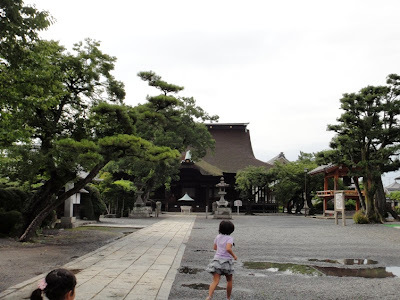 In addition, Karahafu is set into the front eaves of the roof. This hall is very important because it gives us valuable information about the architectural features of the main hall of Jodo sect Buddhist temples of this region during the early Edo period. This hall has been designated as an important cultural property. 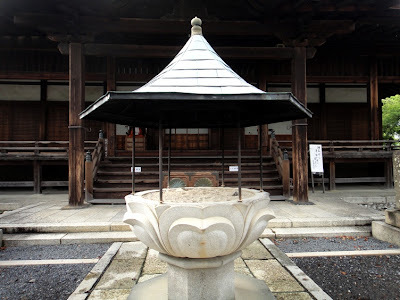 While walking along a paved pathway that led to Seido Hall, we saw two beautiful stone lanterns in front of the hall. We also saw a large cauldron for burning incense sticks. The principal statue of worship at this hall is Amida Sanzon triad. I prayed in front of the hall for the health and prosperity of the family. We saw a cute tiny kitten walking near the base of one of the stone lanterns. The mother cat was nowhere to be seen. My sister-in-law’s daughters got very worried thinking about the kitten being all alone in this world and no one to feed it. So they wanted to take the kitten home. 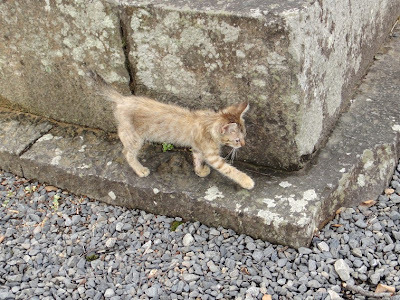 However, sister-in-law could somehow convince them that the kitten probably belonged to the temple owner and the cute little kitten was safe inside the temple complex. The kids were really relieved to hear that from their mother. 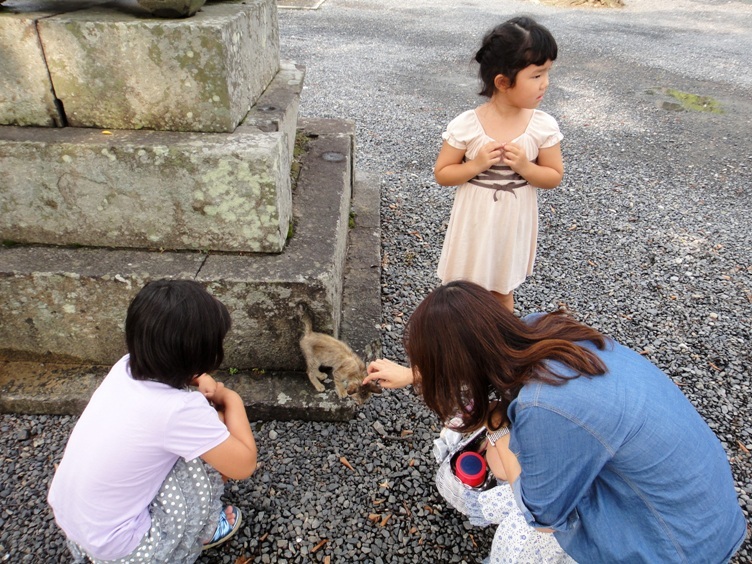 Sister-in-law and her elder daughter are playing with the kitten. Younger daughter looks very worried about the kitten. Adjacent to Seido Hall, we saw a huge bell housed in a traditional style wooden Shoro belfry. 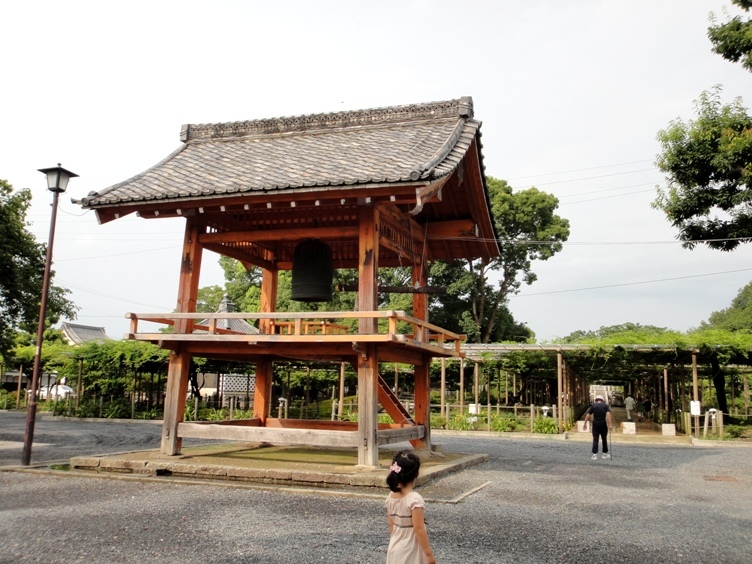 This belfry is a modest structure as compared to other buildings inside the temple complex. 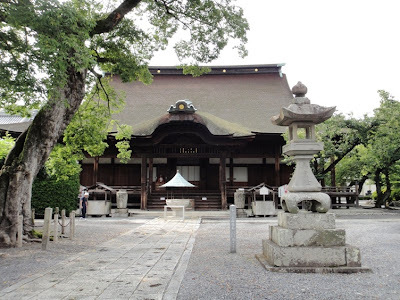 Next, we saw another building named Jizoudo Hall inside the temple premises. Judging from the architectural style, Jizoudo is believed to be the oldest building amongst the existing structures in the temple complex. Jizoudo is reportedly the original Mandara Temple. 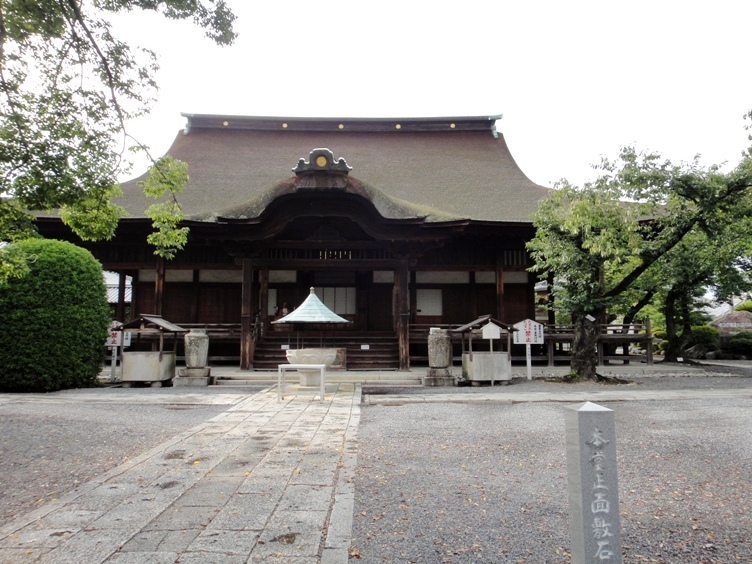 This hall building is an important example of the architectural style of the early Edo period. The hall is estimated to be built at the same time as Seido Hall in 1632. It was relocated to the current location inside the temple complex in 1827. The hall is a wooden structure having hipped thatched cypress bark roof. The principal statue of worship at this hall is a small private statue of Jizou Bosatsu that belonged to Dantenmonin Fujiwara no Tadako, who was the mother of Emperor Godaigo. 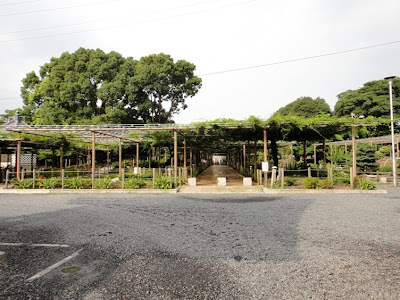 This building has been designated as a cultural property of Aichi prefecture. 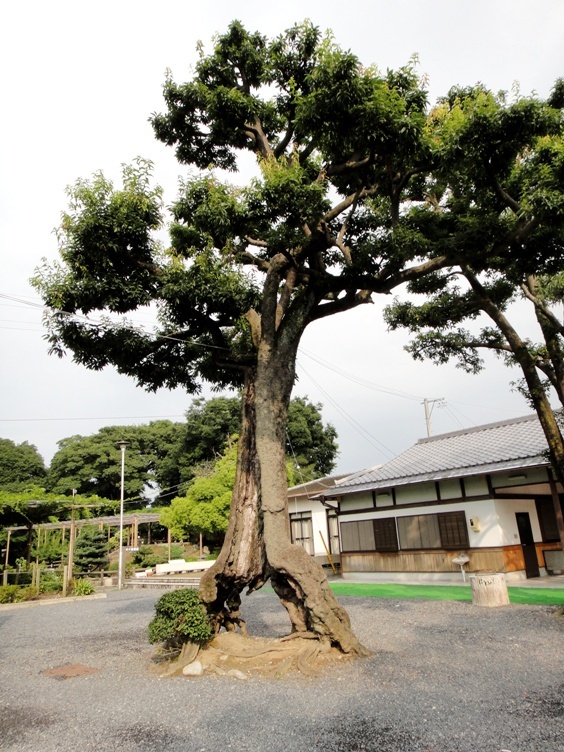 While moving around inside the temple premises, we saw many old and elegant looking trees that had fresh green leaves of summer season. 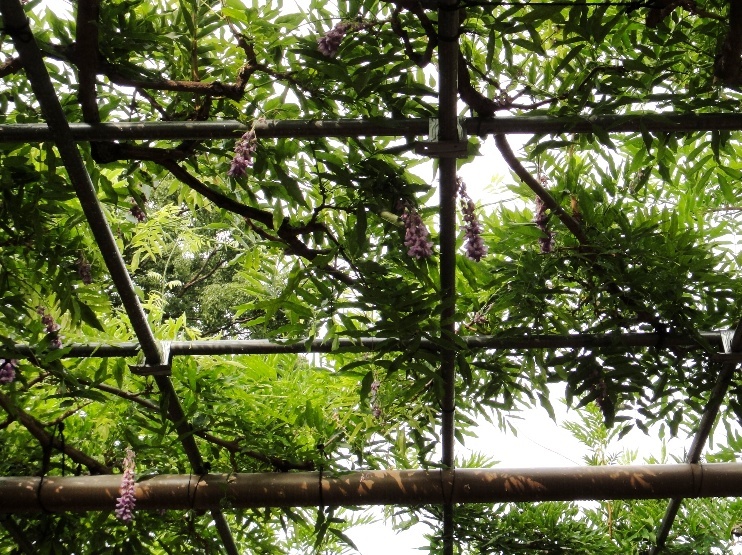 Next we went to see wisteria flowers in Mandara Temple Park, which is located adjacent to the temple premises. In 1970, the temple offered a part of its land to the city and the land was equipped as Mandara Temple Park under the administration of the city. 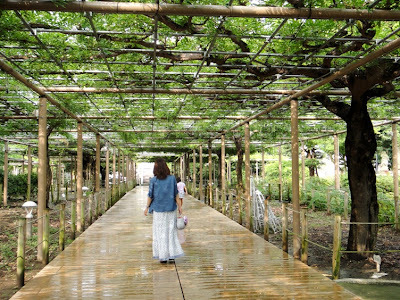 The park has an area of 10000 square meters, out of which wisteria trellis covers an area of 2100 square meters. 120 trees of 12 different varieties of wisteria flower trees are planted here. Every year wisteria flower festival is held at this park from late April to early May. Unfortunately when we visited, the flowering season was already over. But we saw many wisteria vines with fresh green leaves that were a soothing sight to our eyes. We saw a few wisteria flowers also. I loved visiting Mandara Temple and Mandara Temple Park in Konan City of Aichi prefecture. On 14th August hubby and I visited Iga Ninja Museum in Mie prefecture about which I will write in the next post. Thanks for the nice comment Arti. Mandara Temple is not the typical sightseeing spot, so very few foreigners usually visit it. Hope you enjoyed the virtual trip of the temple...Hubby and I love visiting nature-related places as well as places of historical importance. I keep updating about our sightseeing trips. Do visit my blog whenever you get time or mood.